We’ve been thrilled to receive so many positive reviews of our new book, There’s An Adult In My Soup. In case you’re wondering, the reason you haven’t seen many bad ones is because we were able to convince The Lord of The Internet (aka Al Gore) to take them all down for us. 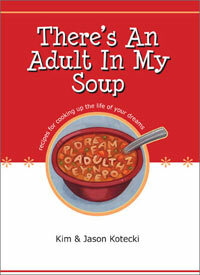 I am currently reading a simple yet amazing book titled “There’s An Adult In My Soup” by Kim and Jason Kotecki. They are on a mission fighting “Adultitis” – typical adult syndromes that infect us as we grow. In that process, we lose our child-like qualities that made us happy and jovial. Our daily conundrums trap us and we forget that life happens to us when we are busy making other things happen. This book is a gentle reminder to remain open, optimistic and child-like to enjoy the simple joys of life. We don’t want you to feel left out of the whole review process. If you’ve had a chance to read the book, we’d LOVE it if you posted your own review over at Amazon.com. Unless you think it stinks. Don’t make us get Al Gore after you. *Coincidentally, it is also the only book we’ve published this year. The Lord of the Internet??? ROFL! I love your comments Jason! Thanks, Minette. I try :) Sometimes I’m more successful than others. Thank you Kim/Jason – It was a pleasure reading and reviewing the book. It related very well with me, since I have live example in my home in form of my 3 years old daughter. She teaches me some very valuable lessons and protects me from getting infected with adultitis! 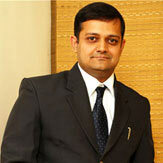 Tanmay, Thanks again for the nice review. And yes, kids are probably the best Adultitis antidotes around — especially 3-year-olds!